I remember growing up folks used to joke “the quickest way to a man’s heart is through his stomach.” It may not be politically correct to assume that a woman has to be a good cook to find a husband, but I think we would be safe to say that a great way to open our kids’ hearts to people from other cultures is to explore foods from different parts of the World. As you will hear Fatima gives Foods of India two big thumbs up. one of the things we learn is that India is a very diverse country. There is no one type of Indian food. Each region has their own likes, dislikes, culture and language. 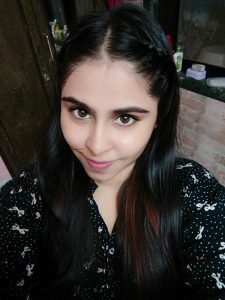 In addition to telling us her review of the book Fatima and I talk about how we can use books like Food of India to help our kids develop a better understanding of people from other cultures. 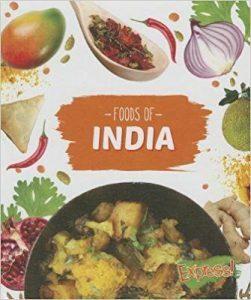 Foods of India offers great recipes that families can create together. Delicious foods, exploring other cultures, family fun, sounds like a win, win, win to me! We hope you will take a minute to click on the sponsor links at the top and bottom of this post to discover all that Epic has to offer. They offer your family unlimited access to over 20,000 fabulous books and educational videos. With Epic you can take a trip around the world without leaving your home. And best of all, if you use the promo code Jedlie you can have full access to all that Epic has to offer for two months FOR FREE!!! PreviouslyWe’re Amazing, 1, 2, 3!